Our marketing and events coordinator Stella Charls shares her top picks of who to see – and, if you can’t attend, who to read – from Adelaide Writers' Week this year. Fiona McFarlane’s extraordinary debut novel, The Night Guest, introduced a major literary talent and was shortlisted for multiple prizes including the Stella and Miles Franklin. Most recently she has published a collection of short stories, The High Places. Born in Tel Aviv, Etgar Keret is a winner of the French Chevalier des Arts et des Lettres and a lecturer at Ben-Gurion University of the Negev. His work has appeared in The New Yorker, The Paris Review and The New York Times, among many other publications. His latest book is The Seven Good Years. Jesse Ball is a poet and novelist. He gives classes on lucid dreaming and lying at the School of the Art Institute of Chicago. His forthcoming novel, How to Set a Fire and Why, is the startling story of a teenage girl who has lost everything – and who will burn anything. Laura van den Berg’s first collection of short stories, What the World Will Look Like When All the Water Leaves Us, was a Barnes & Noble Discover Great New Writers selection and a finalist for the Frank O'Connor International Short Story Award. Her debut novel is Find Me, which is set in a dreamy dytopian-esque America. Lisa Genova has a degree in Biopsychology as well as a Ph.D. in Neuroscience from Harvard University. She is the author of multiple New York Times bestselling novels. This includes the award-winning book, Still Alice, which has been translated into 31 languages and adapted for the screen. Lauren Groff is the author of Fates and Furies – the story of a marriage told once by the husband and once by the wife. This novel was nominated for a National Book Award, Amazon named it their book of the year, and President Obama proclaimed it his favorite book of 2015. Jim Shepard is the National Book Award-finalist and highly acclaimed author of six novels and four collections of stories. His most recent book is the novel The Book of Aron. He currently teaches creative writing at the historic liberal arts establishment Williams College. Stephanie Bishop holds a PhD from Cambridge and is currently a lecturer in creative writing at the University of New South Wales. Her second novel, The Other Side of the World, was the 2015 winner of the Readings Prize for New Australian Fiction. 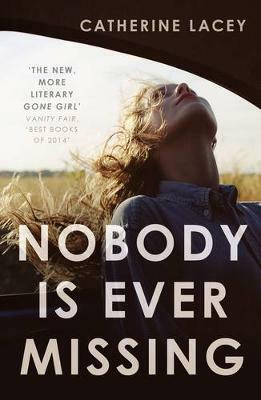 Catherine Lacey is the author of Nobody is Ever Missing, a finalist for the NYPL’s Young Lions Fiction Award. She was named a Granta New Voice in 2014, awarded an Artist’s Fellowship from NYFA in 2012, and has taught in the Creative Writing Program at Columbia University. Robert Dessaix is a celebrated writer, translator, broadcaster and essayist. His most recent book is What Days are For, an account of his time spent recuperating in St Vincent’s Hospital. This book is Dessaix at his best – wry, thoughtful and always a bit naughty. Browse the full program for Adelaide Writers' Week here.